The 5th (Royal Irish) Lancers was at Dublin when Britain declared war on Germany on 4 August 1914 where it had been stationed since September 1910. The 5th Lancers left Dublin on 15 August on board SS Kingstonian and landed at Havre two days later. The Regiment was part of the 3rd Cavalry Brigade, Cavalry Division. On the 6 September, the 3rd Cavalry Brigade was transferred to Gough’s Command which became the 2nd Cavalry Division on 13 September 1914. The regimental history (see below) is the best resource to use to find out more about the Regiment but hasn’t been reprinted and is hard to find. The war diary (see below) is available to download online but isn’t that detailed but will still provide you with a good overall account of the Regiment’s service. The most notable engagements for the 5th (Royal Irish) Lancers during the war were the First Battle of Ypres, an attack on the Regiment’s trenches in the Guillemont Sector on 22 June 1917 and during the German Spring Offensive in March and April 1918. The 5th Lancers returned to Britain in March 1919 and was stationed at Canterbury, Kent. 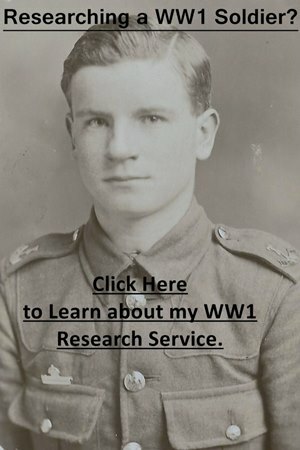 I have a large number of guides on my Researching Soldiers who Served in the British Army page which you should look at first. The most important being the articles concerned with medals, service records and abbreviations and acronyms. The war diary which I have discussed below, while not particularly detailed, should also be downloaded. The regimental history (see below) is very useful but hard to find. Officers: First check to see if a service record is held at the National Archives. I offer a copying service for these files. If an officer served past April 1922 then their service record should still be held by the Ministry of Defence. Have a look at my article on my other website: Ordering a Service Record from the MOD. Use the Army List to see if an officer is still serving past this date. You will also need to look through the war diary of the 5th Lancers which I have discussed below and also look at my articles on the London Gazette and Hart’s Army List. In general, you can usually find out a lot of information on British cavalry officers. 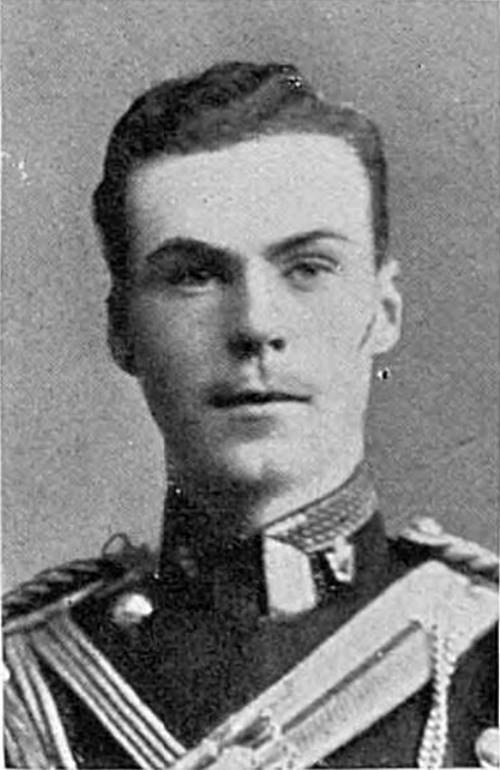 A photograph of Lieutenant George Critchett Juler who was killed in action on 31 August 1914 which appeared in The Sphere. Newspapers are an excellent source of information for both officers and men: Using Newspapers to Research Soldiers. There is a service record for Juler available at the National Archives: WO 339/7003. Other Ranks: A service record is once again key and if a soldier served past January 1921 then it should still be with the Ministry of Defence. Have a look at my article: Ordering a Service Record from the MOD. If no service file survives then it could be that only medal records have: Medal Records. You should be able to work out an approximate enlistment date from a soldier’s regimental number. To research a soldier who served in the First World War you’ll need to join FindmyPast and Ancestry. Fortunately, they both have free trials and if you live in Britain you can often access them for free at your local library. Clicking on the banner below will take you to FindmyPast. There is only one war diary for the 5th Lancers which can be downloaded from the National Archives for a small fee by clicking the blue link below. I have transcribed February 1915 below. Notes: A poor war diary with many months only containing a brief summary. At the end of each month, there is a list of the numbers of officers and men and horses arriving and departing, as well as any honours and awards. There is a regimental history: The History of the 5th (Royal Irish) Regiment of Dragoons from 1689 to 1799, afterwards The 5th Royal Irish Lancers from 1858 to 1921 by Col. J. R. Harvey, completed to 1921 by Lieut-Col H. A. Cape. This book was published in 1923 and hasn’t been reprinted and is difficult to find. This book draws heavily from the war diaries of the 5th Lancers and is divided up into paragraphs by date. This is a very useful book to have when researching the Regiment and I looked at a copy at the British Library. Soldiers’ Small Book of A. E. Arnold which contains a list of soldiers who served with the Regiment: Private Papers of J. A. Arnold: Documents.13917. Collection of letters written by Captain Vane de Vallance Mortimer Vallance who served with the Regiment before, during and after the war. Vallance also served with the Nigeria Regiment: Private Papers of Captain V de V M Vallance: Documents.16632. A pocket diary kept by Brigadier-General Anthony Morton Henley who served as a Captain with the 5th Lancers between August and October 1914 which is part of a larger collection: Private Papers of Brigadier General A M Henley CMG DSO: Documents.9898. Two diaries written by Percy Bottling totalling over 200 pages in which he recorded his service with the Regiment between August and December 1914. There are also other documents relating to his service: Private Papers of P Botting: Documents.6481. Letters and training notebook written by Arthur Herbert who served with the Regiment before the war and in East Africa where he was killed in action on 7 January 1918: Private Papers of A Herbert: Documents.6481. The extract below is the war diary of the 5th Lancers for the month of February 1915. This is one of the more detailed months when the Regiment was in the trenches at Ypres and billeted in the surrounding area. Souverain: 1 February 1915: Remained in billets at Souverain, 1 mile East of Hazebrouck. Orders were received to be ready to move either mounted or dismounted at short notice to go to the support of either the 1st or 2nd Armies. 2-7 February 1915: Remained in billets. 8 February 1915: The Regiment took part in a practice mounted concentration of the Brigade. 9-11 February 1915: Remained in billets. 12 February 1915: A Squadron (Capt. P. F. Gell, Indian Army attached 5th Lancers), D Squadron (Capt. V. M. Vallance) and the machine gun section (Capt. E. C. S. Jervis, Reserve of Officers attached 5th Lancers) proceeded by motor-bus to Ypres. Arrived 8.30 PM. Billeted in Ecole de Bienfaisance. Strength: A Squadron: 4 officers, 97 other ranks. D Squadron: 4 officers, 94 other ranks. MG: 1 officer, 14 other ranks. 13 February 1915: C Squadron (Capt. Hon. H. C. Alexander D.S.O.) proceeded by motor-bus to Ypres. Arrived 7.30 PM. Strength: C Squadron: 4 officers, 105 other ranks. Ypres: 13 February 1915: A Squadron relieved the Essex Yeomanry in the trenches at 7 PM. Trenches taken over without casualty. The machine gun section also went into the trenches at the same time. D Squadron was detailed at Divisional Squadron for the whole period the Regiment was in the trenches, being employed in building redoubts, support trenches etc. 14 February 1915: A Squadron and the machine gun section spent the day in improving the trenches. C Squadron remained in billets in the Ecole de Bienfaisance, where they were shelled intermittently throughout the day and again between 8 and 9 P.M.
15 February 1915: No change. All quiet. 16 February 1915: 7 PM: A Squadron were relieved by B Squadron, 4th Hussars and spent the night in the support trenches. Remainder no change. 17 February 1915: A Squadron spent the morning in digging a new communicating trench. At 6 PM they relieved C Squadron, 4th Hussars in the trenches. Remainder no change. 18 February 1915: A Squadron observed the enemy sapping towards them and at 2 PM the sap-heads were about 10 yards away. They were however not allowed to bomb them. C Squadron turned out at 4.30 AM and proceeded to the support dug-outs of A Brigade in anticipation of an attack. Returned to their billets at 10 AM. Were heavily shelled on the way, having two men wounded. 19 February 1915: A Squadron were relieved by one squadron of the 16th Lancers at 2.30 AM and then marched back to billets at the Ecole de Bienfaisance. No casualties during their tour of duty in the trenches. C Squadron relieved one squadron of the 4th Hussars in the trenches at 2 AM. Relief carried out without casualties. Remainder of the day quiet. 20 February 1915: A Squadron rested in their billets. C Squadron quiet day. At 11 PM there was a small demonstration by the enemy, but no attack materialized. 21 February 1915: A Squadron turned out at 7.30 and marched up to the support trenches and remained there during that day and night. One man wounded. C Squadron sent one troop to take part in the counter-attack on the portion of the trench that had been blown up by the enemy and occupied by him. This counter-attack failed. Two men wounded and one man missing. The machine gun section brought their guns to the end of the communicating trench between the portion blown up by the enemy and that held by the 16th Lancers effectively stopping the enemy from gaining any more of the trench. During this time they were in a very exposed position. They had three men wounded. 22 February 1915: A Squadron remained in support during the day and relieved one squadron of the 16th Lancers in the trenches at 6 PM. C Squadron quiet day. Lt. W. H. Coulter killed. D Squadron left Ypres in motor-buses to return to their billets at Souverain. The machine gun section were relieved by the machine gun section of the 19th Hussars and returned to billets at Souverain. 23 February 1915: A Squadron were relieved by one squadron of the 2nd Dragoon Guards at 8 PM and then proceeded to Ypres whence they were taken by motor-buses to Souverain. One man wounded. C Squadron were relieved by one squadron of the 2nd Dragoon Guards and then went into support. 23 February 1915: Souverain: D Squadron and the machine gun section remained in billets. 24 February 1915: Ypres: C Squadron were relieved at 9 AM and returned to billets at Souverain. 24 February 1915: Souverain: A and D Squadrons and the machine gun section remained in billets. 25 February 1915: The Regiment remained in billets. 26 February 1915: 9 AM: The Regiment marched out to return to its old billeting area at Remilly, arriving there at 2 PM. 27 February 1915: Remilly: Remained in billets. Orders issued in case of a sudden moved to go in support of either Army either mounted or in motor-buses. 28 February 1915: Remained in billets.